To promote the alcohol area within MMRG convenience stores to increase spend. We rebranded the alcohol area and proposed a seires of key POS items which not only created impact instore and highlighted the offers, but incentivised the customer to spend more with a ‘spend & save’ campaign. 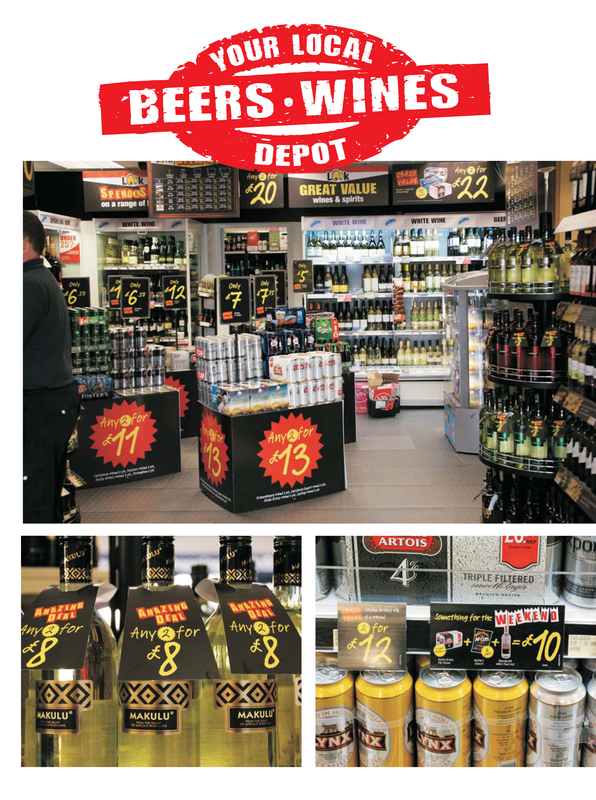 The first new Depot stores showed a 25% increase in alcohol sales, with wine alone increasing 32%. Following the success of the concept stores, rollout to a further 100 stores is underway.